It’s getting ever more closer and therefore exciting abounds here at RMHQ as the deadline for the release of the NEW JJ Cale album STAY AROUND on April 26th….. and here’s another teaser. 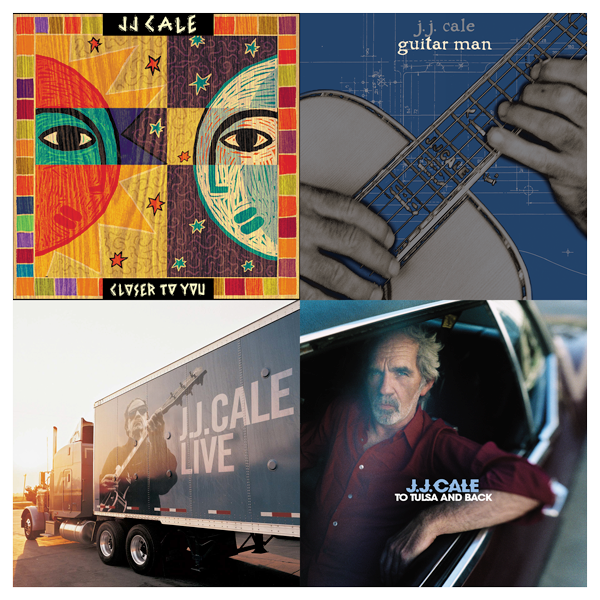 To celebrate the release of JJ Cale’s new album ‘Stay Around’ (26th April),Because Music will for the first time release vinyl pressings of four albums from his catalogue: ‘Closer To You’ (1994), ‘Guitar Man’ (1996), ‘Live’ (2001) and ‘To Tulsa and Back’ (2004). ‘Roll On’ will also be re-pressed after a long period out of print. The reissues will be released on the same day as the new album and will be available in limited heavyweight 180g black vinyl and CD. They are available now for pre-order. ‘Stay Around’ was compiled by those closest to Cale – Christine Lakeland Cale, and friend and longtime manager, Mike Kappus – and will be released on 26th April 26 (pre-orders are available now digitally and on CD & limited collector vinyl edition). The ‘Stay Around’ single will also be released in an exclusive 7″ vinyl for Record Store Day (13th April). The B-side features ‘Worrying Off Your Mind,’ a bonus track from 2009’s ‘Roll On.’ For the first time in a decade, listeners will be moved by a new collection of unreleased Cale songs, a feat that’s possible due to Cale’s modus operandi: in addition to regularly writing and recording new songs in his home studio, Cale would typically reserve outtakes from one album for later release on another. That resulted in a reserve of ready for release songs from which this album’s collection was drawn. In compiling ‘Stay Around,’ Christine pored over these songs, both studio and home recordings, that the public had never heard. The result is an album mixed and produced by Cale himself, left nearly untouched to leave, in Christine’s words, the “Cale Factor.” The only song not written by Cale is Christine’s ‘My Baby Blues,’ the first song she and Cale cut as a four-piece combo in Bradley’s Barn studio in 1977, the year they met.